Derby is the UK's most central city benefiting from the best of both worlds - a great cultural base situated in the East Midlands on the edge of the Peak District National park. 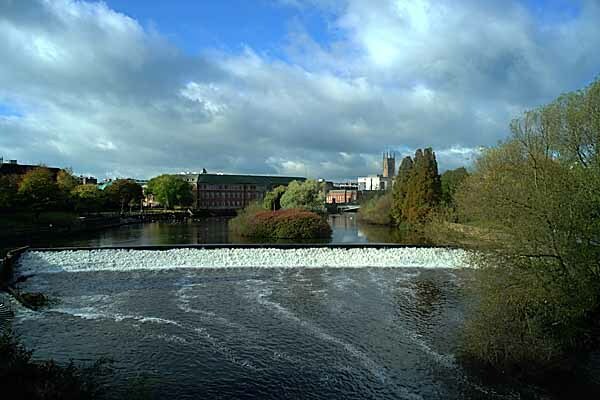 Situated on the River Derwent in the southern part of the county of Derbyshire, Derby is a thriving, cohesive multi-cultural city where people quickly settle quickly into local communities. Derby has a population of nearly 250,000 and has been twinned with Osnabruck in Germany for over 30 years. Derby is famous for setting in motion Britain's Industrial Revolution with some of the countrys first factories and spinning mills. It is equally famous for later factories of Rolls Royce, Royal Crown Derby and Railway engineering. The thriving city centre boasts an excellent range of entertainment venues, attractions, pubs, restaurants, parks and open spaces. Two of Derby's biggest employers are Rolls-Royce plc and Toyota. Others include Bombardier who manufacture railway rolling stock and HeroTSC, who deal with of Sky's telephone support. Royal Crown Derby has been producing porcelain in Derby since the 1750s. Derby has much to attract the visitor with its excellent shopping facilities, the Intu Centre attracting hundreds of thousands of visitors from both within and outside the county. The Cathedral Quarter is also a popular area with an upmarket mix of quality, independent niche retailers, cafes, restaurants and bars. Derby has musuems, galleries and has a growing reputation on the national cultural scene. The Derby Art Gallery contains a brilliant collection of paintings by the Derby born Joseph Wright. The Derby Quad opposite Derby Council House provides the city with a building where audiences and users can participate and engage in a variety of art forms. The Roundhouse historic building, originally used for steam engine repairs, has been restored for use by Derby College and opened to new students in september 2009. This once-derelict grade II listed has undergone a pioneering transformation and the impressive new buildings complement the character of the original premises. Derby Arboretum was the first public recreational park in the country. Darley and Derwent parks are seperated by the River Derwent and home to much wildlife with Derby Rowing Club and Derwent Rowing Club located on the banks of the river here. A riverside walk and cycle path from Darley Park south through Derby River Gardens to two other parks. 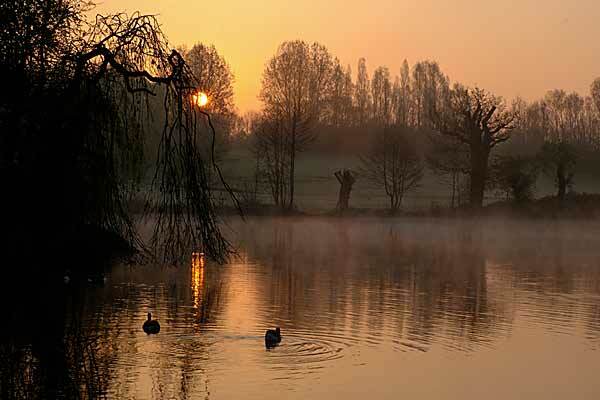 Markeaton Park is probably the best known of all the parks in the City of Derby with over 207 acres of parkland attracting over one million visitors a year . It is a large park offering a wide range of leisure facilities and activities for all ages. It hosts various fairs and shows throughout the year including the yearly bonfire and firework display. For children there is the popular Mundy Play Centre, a children's wonderland. This playground is well equipped and has seasonal attractions for most of the summer - a bouncing castle, canoes, rowing boats, children electric cars, crazy golf and donkey rides. A large paddling pool is also open from Easter to the end of September. The family-friendly play area is dog-free, has level pathway with lots of places to sit, rest and to have picnics.is the venue for the city council's annual Guy Fawkes Night firework display and contains its own light railway. Other major parks in the city include Allestree Park, Darley Park, Chaddesden Park, Alvaston Park, Normanton Park and Osmaston Park. Derby Gaol is a visitor attraction based in the dungeons of the Derbyshire County Gaol which dates back to 1756. Derby LIVE, the cultural arm of Derby City Council host varied events at the Derby Theatre, the new derby arena and the Guildhall Theatre. Derby Fest is a spectacular weekend street arts festival held every September. The Robert Ludlam Theatre is a 270 seat venue with a programme of entertainment including dance, drama, art, music, theatre in the round, comedy, films, family entertainment, rock and pop events, workshops and provides a home for many of Derbyshire's amateur production groups. Derby Shakespeare Theatre Company has received critical acclaim for its often innovative productions. The new Derby Arena at Pride Park in Derby , a multi-use sports and cultural venue opened in 2015. As well as a 250m indoor cycle track suitable for all , there is an indoor sports, a state of art 140-station gym , meeting and hospitality rooms available for hire, a caf� and a bar and fixed seating for 1500 people.The Arena also will also be used as a venue for cultural events, exhibitions, product launches and conferences. Farmers Markets are held every third Thursday in each month throughout the year on the Market Place in Derby. See Derby Entertainment for more of what is goling on in Derby including latest offerings from the Robert Ludlam Theatre in Derby. Allestree is a large, pleasant residential suburb, 2 miles north of the city centre, still surrounded by parkland. Much of its growth has taken place just in the last 40 years. It has self contained shopping centres, pubs, schools, churches as well as the much used Allestree Park with its golf course and fishing lakes. Littleover represents a local community atmosphere, with a friendly and polite array of cultures, old and young. Many recreational activities are also available with various tennis, cricket and football pitches located in various areas for you to use, such as St George's Playing Fields. Mickleover, the same as Littleover, is a great sprawl of suburban houses. The part known as Mickleover village is the shopping area on Uttoxeter Road, about 2 miles out of Derby. It is dominated by the Tesco supermarket these days, but the Old Market Place still remains and The Green, The Hollow and Orchard St still give the area around The Square, lots of character. Oakwood was largely throughout the 1980's and 90's but some building still continues and there is a great desire by builders to extend further into green belt land that surrounds part of the estate. Oakwood has a mixture of houses, mostly with small gardens. Several small pockets of shops have appeared as well as two new pubs. The Springwood Leisure Centre, right in the heart of the Oakwood estate, offers access to all including disabled people. It's facilities include a sports hall, dance studio, squash courts and a fitness studio. Chaddesden Wood situated off Springwood Drive, is special because it is the only ancient oak woodland in the city of Derby. Derby university is home to 21,000 students in all areas of study and provides nearly 300 study programmes at undergraduate level, post graduate level and short courses. The main site is on Kedleston Road opposite Markeaton Park but the university also has a campus in Buxton in north Derbyshire and Arts, Design and Technology centre on Markeaton Street in Derby. Courses are also run at the Britannia Mill site in Derby and the Chesterfield Centre for Health Education. Derby City Centre is quite compact with much of the central area a pedestrianised zone making shopping quite easy. There are a good range of High street stores lining the Victorian buildings of the Cornmarket and Victoria Street. Sadler Gate and Iron Gate are lined with 16th-century buildings and boast numerous gift shops, clothes shops, pubs and restaurants. The area is known as Derby's Cathedral Quarter. Open every day, Intu Derby is an all-weather shopping mall which houses over 100 shops and a food court capable of seating 800 people. There is also a large car park. Stores include Debenhams, Marks and Spencer, Topshop, Oasis. British Celanese at Spondon in Derby was once one of Derby's biggest employers. It has closed and is now due for demolition. At its height, the Spondon plant employed some 20,000 people. Amongst many other items it was involved in the manufacture of filter tow for use in cigarette filters. In 1958 Courtaulds took over and then in 1998 Dutch giant Akzo Nobel acquired a controlling interest and the company becomes known as Acordis. In 2007 Celanese acquires the company and the name changed again, to Celanese Acetate Ltd. .
See Celanese Photographs , a photo tour of some of the buildings and sights to be found around the Celanese / Courtaulds site. This is part of a heritage project run by Andy Rokita from Derby who has created a film called "Softly Spoken" looking at the history of the plant and the people that worked here.